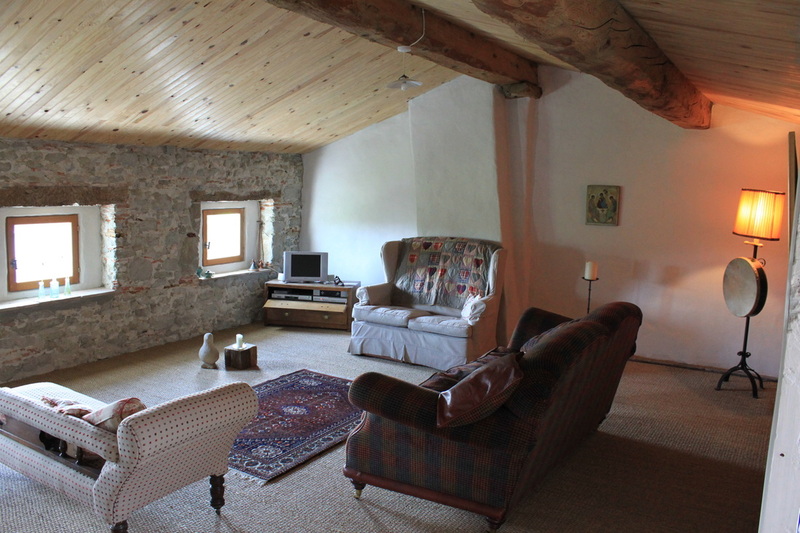 We have been in this 19th century stone built farmhouse since the summer of 2008. There are areas around the house and gardens where you can take time to sit, contemplate, swim or just relax. To the front of the house is a garden leading to a vineyard with seating to relax on and admire the extensive landscape. We also have a large potager where we grow organic fruit, vegetables and keep bees. Guests are very welcome to help us in cultivating this area. For your relaxation you will find our quiet sanctuary ​space where we share morning and evening prayer. There is a small library for your use. In our dining room, or in the gardens, weather permitting, you can enjoy a breakfast and lunch of home-made products. In the evening our creative and appetising single menu comprises of local and home grown organic ingredients. For your comfort in the bedrooms we use natural materials and are equipped to fit the retreat guest's needs. We offer harmony, personalisation and care with which we have chosen the linen, fragrances and decoration. There are two double bedrooms on the first floor available for guests. There is a large bathroom with a bath and shower and a separate toilet on this floor. There is no fixed price for staying with us. We have estimated that it costs us 49 Euros per person, per day for full board and each guest is invited to make a donation. Some may give less and some give more.